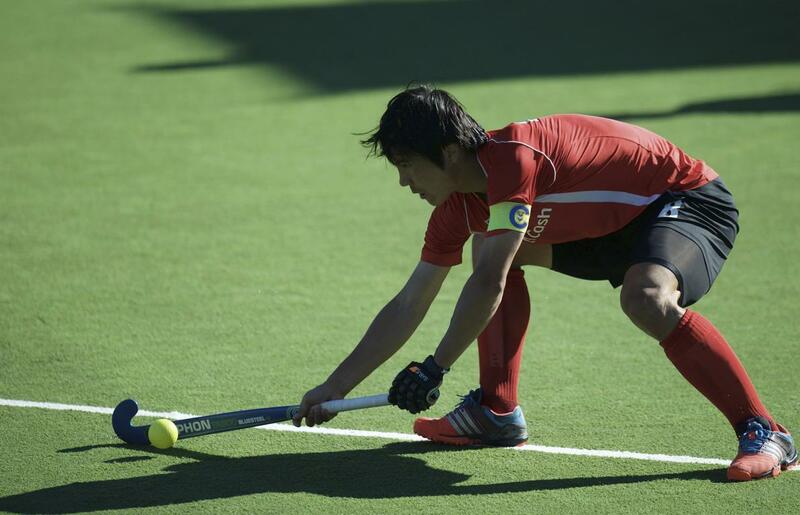 Hock World League Semi Final Men 26 ESP v KOR (5th - 8th) foto: Jaehyeon (GK)Kim sad after the lost shoot outs. 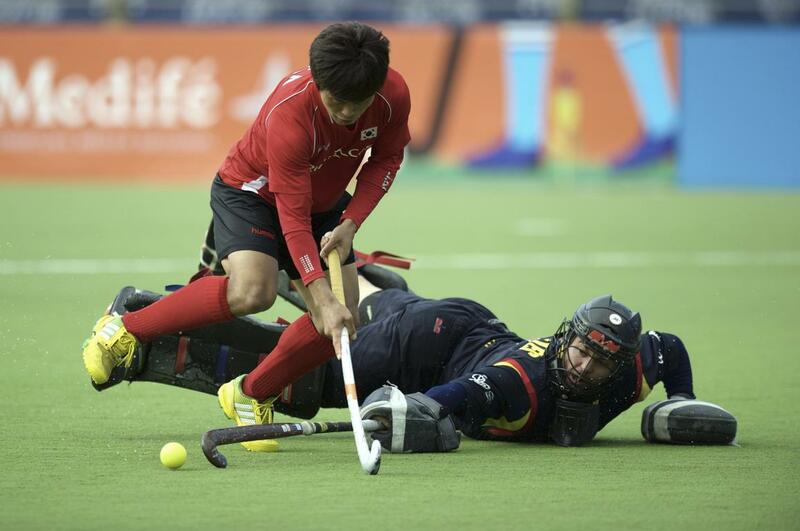 Hock World League Semi Final Men 26 ESP v KOR (5th - 8th) Shoot outs. 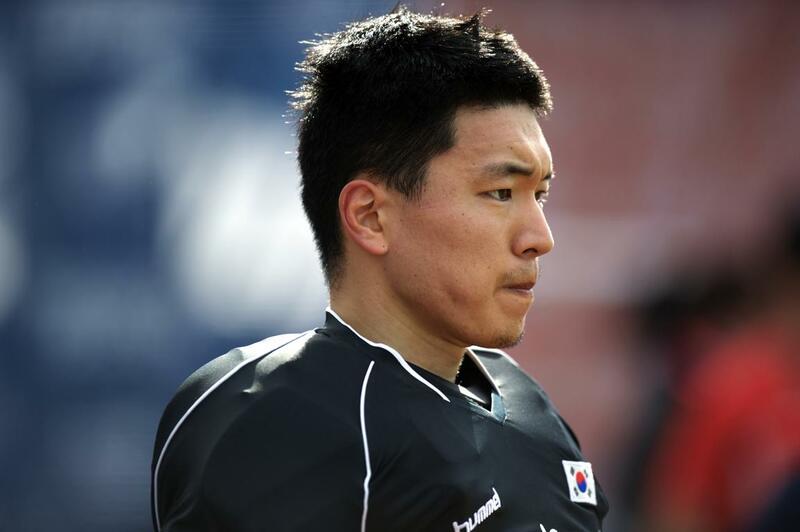 Foto: Namyong Lee stopped by Quico Cortes(GK). 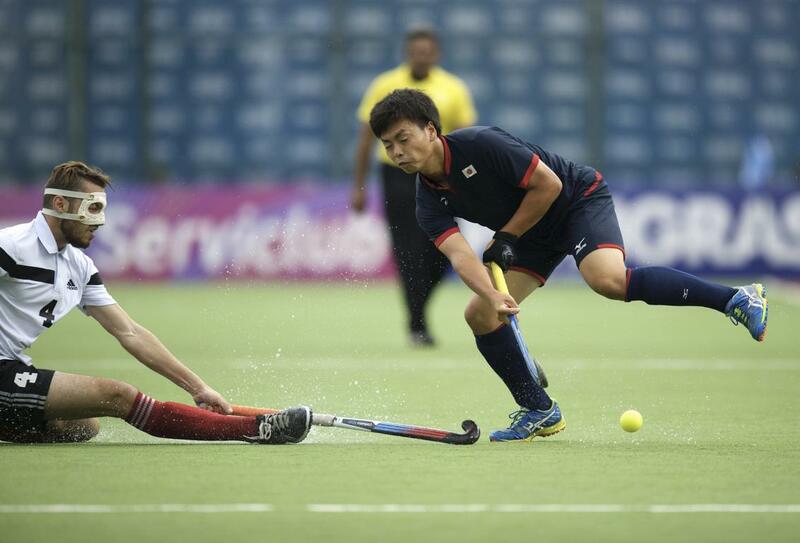 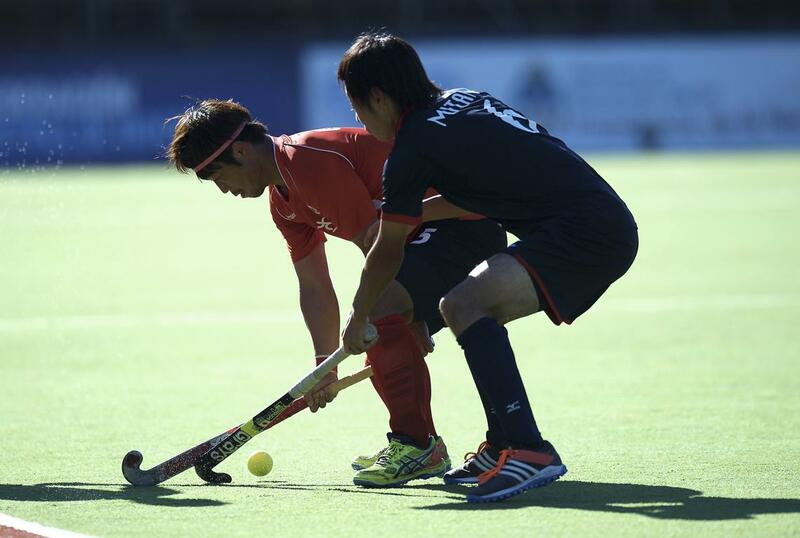 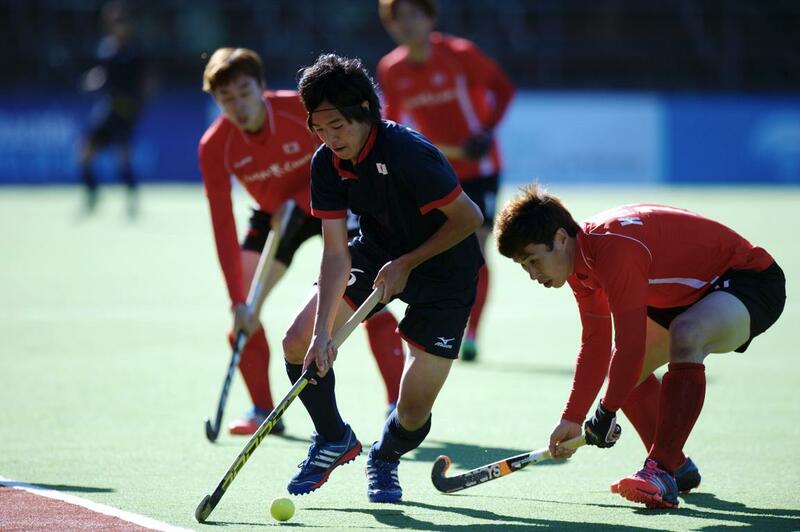 Hock World League Semi Final Men 10 JPN v EGY (Pool A) foto: NAGASAWA Katsuyoshi.